If you are having a problem with either of the Transceivers this is the place to be! To lock the Keys press "Set" then *, to unlock do the same. To Scan through all the frequencies press the "A" Button. Use arrow keys to browse stored channels. Press 'A' to scan stored channels. If you just want to listen to a particular frequency all you do is type it in. 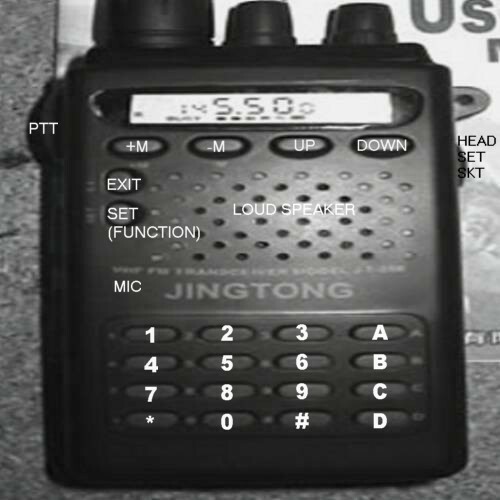 To Enter CTCSS Mode Press "Set" then "0", press the same keys again to return to normal mode. To set CTCSS Code Press "Set" then "9" and use the arrow keys to select the number required. To Change the Frequency step (5/10/125/25KHz) Press "Set" then 4, keep pressing 4 until the desired step is shown on screen then press "Exit". To Transmit and receive on different frequencies you must first subtract the lower frequency number from the higher frequency number to give you the amount in MHz difference between the two. For Example. Transmit on 452.000, Receive on 458.000. 458.000 - 452.000 = 6.000 so there is a 6.000 MHz difference between them. To Set the difference press "Set" then "7" and enter the difference then press "Set" again. To check it has entered press "Set" then "7" again and it will show the difference. To set the radio to use this code press "set" then "6", a small plus will show at the top of the display. The example I have given above shows that the transmission frequency is set lower than the receive frequency so we need to press "Set" then "7" again so a minus sign shows. The unit is now set up all you have to do is enter the receive frequency (458.000) and when you transmit you will see the screen change to the transmission frequency (452.000). To turn the Feature off press "Set" Then "7", repeat until no plus/minus sign shows. Q. Why is there is no sound coming from my transceiver? A. Please check the squelch is correctly set and the volume is up. 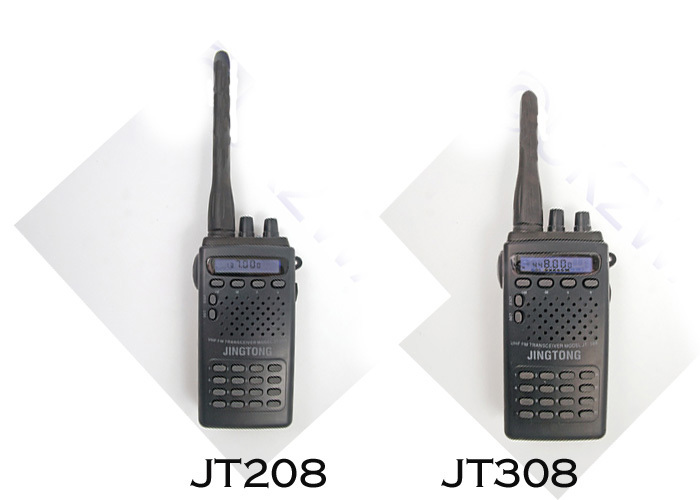 If these are correct it may have entered "CTCSS" Mode, Press "Set" then "0" to return to normal mode. Q. Why does the he charger have a 2 pin plug? A. We buy these in massive bulk from Asia to offer the best price (Asia - 2 pin plug). We supply an adaptor for use in the UK. If using in Europe you may need to purchase an adaptor. Alternatively it is very easy to fit a 13 amp plug. Q. What if I need to buy a spare battery? A. No problem UK2Way stock replacement batteries as well as a range of spare parts and accessories. Q. What if I have a problem with it in the first year? A. We offer a years warranty against manufacturing faults so you can send it back for repair/replacement. However if the item is damaged due to misuse then this is not covered by our warranty. Q. Do I need a license to use these? A. It is best to check with your local authority whether a license is required. The units do cover a lot of frequencies including amateur Radio bands. You do need a license to use these units on the amateur radio frequencies. Q. Can I use this unit to listen to frequencies like a Scanner? A. Yes you can! However these units can receive certain emergency services such as the Police, Please bear in mind that it is ILLEGAL to listen to such frequencies.